It’s hard to have a cell phone conversation when a fisherman on the other end won’t put down his surf rod. Then again, it’s harder to stand on some slippery rocks and cast for stripers while some annoying writer asks about a fish you caught. Despite his awkward position of balancing himself with a surf rod and cell phone while occasionally inadvertently pressing buttons on his phone, his story of catching a cobia came through loud and clear. “I’ve always wanted to catch one,” Ryan said, “I follow all kinds of pages about them,” which is a bit unusual considering he was fishing the edge of Massachusetts, cobia’s extreme northern range. Casting a pogey tail into the wash of Sakonnet Point, he was hoping for a nice big striper or possibly, a cobia but when asked if it was just luck, he answered, “I’m lucky enough just that I was there.” Awesome. Cobia are Rachycentron canadum, they winter in the Gulf of Mexico, hang tight to Florida and the southern states as Spring stretches out the days then join New England snowbirds to travel north for the summer. Known also as lemonfish or prodigal sons, they’re pretty rare catches around these parts but then again we’re awash with black sea bass which are another relatively new arrival. Cobia eat crabs, shrimp and squid and can grow to three or four feet long, weighing up to fifty pounds. Peter Goulding of Shark Bay, Australia, which sounds like a really scary place to launch a boat, landed the IGFA world record in 1985 with a weight of 135 pounds nine ounces. Two spear fishermen in Brazil shot one in 2014 which weighed 172 pounds, far greater than the IGFA record and almost forty pounds more than the International Underwater Spearfishing Association men’s world record of 145.9 pounds. Closer to home, Matthew McCabe caught a 36.2 pound cobia in 2014 which measured 48.5 inches and technically usurped the state record of a 35 pound, 48 inch fish caught in 1995. “I just tossed it out there. It only sat for four or five minutes,” Ryan said. He’d only been fishing for ten minutes total, using a three ounce weight on a fish finder rig. “It was a big fight. I left right away. I knew my luck for the day was over,” Ryan recounted. His fish weighed 9 lbs. 15 oz and measured 35 inches. Trophies get dusty, fish mounts end up in closets. No matter the records, on a foggy day in July, Ryan Valois landed a fish he had dreamed of catching and that’s worth more than a line in a record book wilting in a bathroom library. 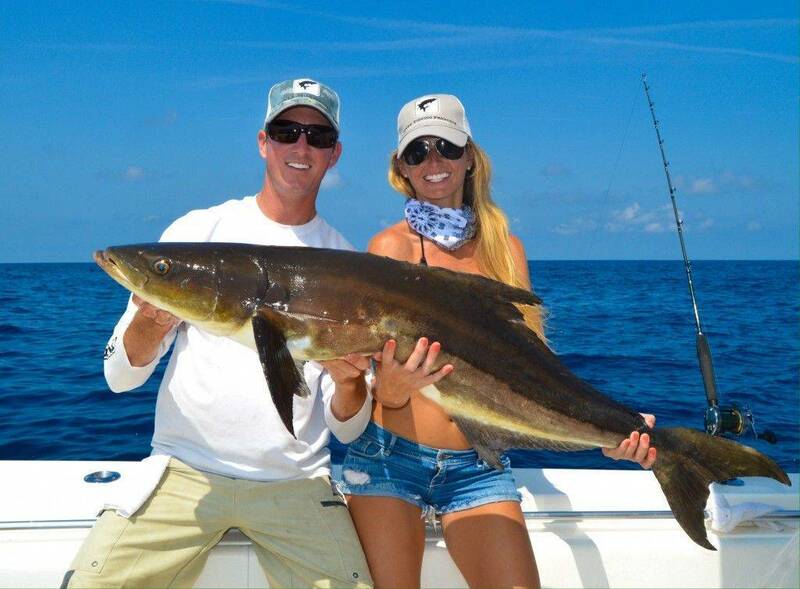 Cobia are determined fighters, often flying out of the water to shake a hook. 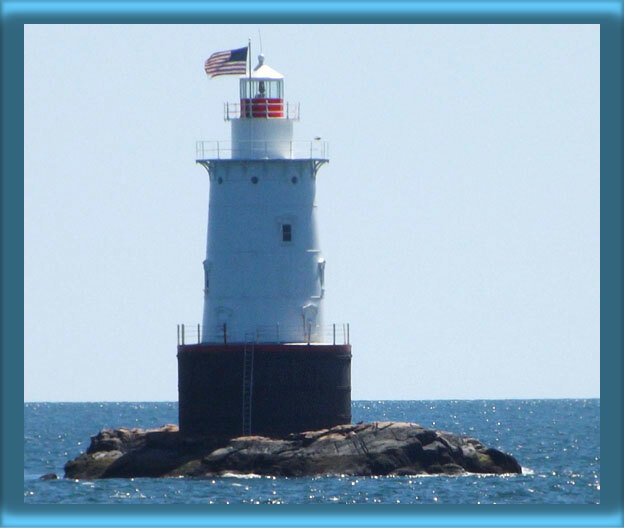 They’re pelagic so are frequently found around buoys, wrecks and piles of structure, like rocks, like the rocks around Sakonnet Point. How cool to be Ryan Valois, standing at the edge of slack low tide, fighting hard to keep a big fish on the line, hoping it doesn’t part dragging across those rocks. How cool to see those silvery and brown lines splash on the surface. How cool to hold up a dream fish, knowing everything went just right. “Nobody else on the rocks knew what it was,” he said. “Typically I fish four times a week for an hour or two,” said Ryan. That’s determination, especially during what some people are calling a slow year. “I trout fish all winter long but as soon as the stripers come in, I hang up the trout gear,” he said. He likes to poke around the big rocks, looking for opportunities in pools of oxygen-rich waters where fish might target a shellfish dinner. He said there’s been lots of small bass around and that he’s been seeing plenty of small bluefish, which is the opposite of his observations of last year when it was a “very, very slow year for bluefish,” he said. Once filleted, he discovered a lobster leg in its stomach and as luck would have it, he and his wife had just enough Kerrygold butter in the fridge and avocado oil in the cupboard. With a touch of pink Himalayan salt, the fillets marinated for twenty minutes before landing on a hot grill. While this story may stray a bit from the Bible version of the prodigal son, there’s a really wonderful parallel to waiting and hoping and having just a little luck and it’s pretty amazing that of all those guys fishing and surely there were a few throwing similar baits, it was Ryan who caught that cobia. “It was delicious,” he said. Cheers to you, Ryan Valois.